Although the Occupational Safety and Health Administration (OSHA) sets strict safety guidelines to protect American workers, thousands are still injured on the job each year. While some jobs and industries are inherently more dangerous than others, it only takes one moment of carelessness to cause devastating injuries for workers. Neck and back injuries – Slip and fall accidents are incredibly common in most workplaces. If there is an unmarked spill, employees could slip and fall directly on their backs, causing painful injuries. Workers could also suffer neck and back injuries in workplace vehicle accidents or from vibration injuries. Traumatic brain injuries (TBIs) – Some of the most deadly injuries incurred on the jobsite are TBIs. Symptoms vary and are not always immediately apparent, but they can cause permanent brain damage and even death. TBIs can occur in workplace vehicle accidents or in struck-by accidents on construction sites. Amputations – For workers working with and around large machinery, amputation is a real threat. If a piece of clothing gets caught in heavy machinery, workers could end up with devastating injuries requiring amputation. Burns – Some workers (like welders) work with tools that create lots of heat, and this could cause serious burn injuries. However, any workplace fire could cause serious burn injuries for workers. In addition to burns from heat, workers can also suffer from chemical burns when exposed to hazardous materials. Electrocutions – While workers like electricians are most at risk for electrocution injuries, the reality is that every workplace has the capability of causing these types of injuries. From bad wiring to overloaded sockets, electrocutions can be very dangerous and even deadly for workers. 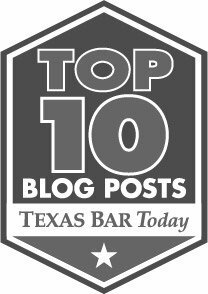 Because Texas does not require employers to subscribe to the workers compensation system, many workers are left paying out of pocket when they are injured at work. Even if your employer does not have workers compensation insurance, you can seek compensation from the responsible party by filing a lawsuit. If you or someone you love was injured at work by an employer’s negligence, call the experienced Houston personal injury lawyers at Blizzard Law PLLC today. We can explain your legal options. Our consultations are free and we work on a contingency fee basis, meaning you won’t owe us anything unless we help you recover compensation.